This past week, my family was fortunate to spend a long weekend visiting relatives up near Cape Cod. We try to visit at least once a year and always enjoy spending time with cousins, swimming, playing, eating and just catching up! This year, we were able to stay a little longer than normal and decided to check out some of the local historical and natural sights in the area, and with so many to choose from, that was no small feat! 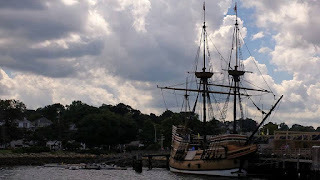 After much discussion, we decided to explore the Plimoth Plantation, a living museum boasting a re-creation of a Native American Homesite as well as a 17th century English Village and Craft House. The homesite featured actual Native persons demonstrating everyday tasks such as: canoe making, cooking, and weaving, all while fielding visitors' questions. Similarly, the village had costumed role-players who showed the tasks of everyday life in the 17th century and answered questions all while conducting their chores, which included everything from grinding grain to repairing perimeter fences to protect the village, In the Craft House, artists demonstrated English lottery making, wood working and baking. 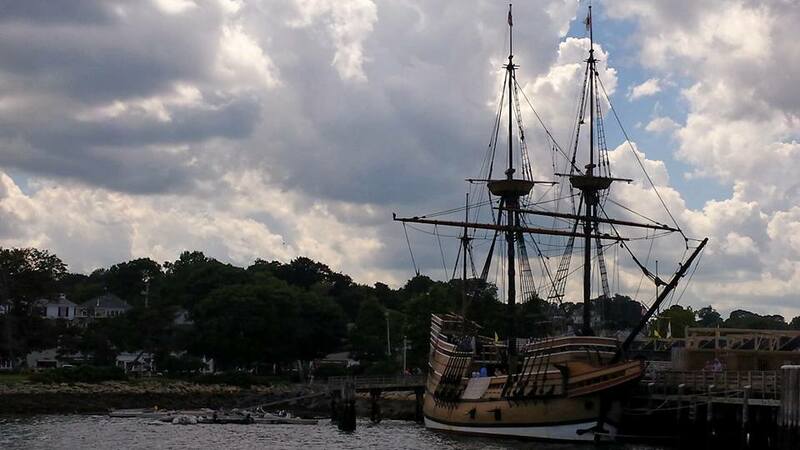 There is also normally a tour of a re-creation of the ship which brought the Pilgrims to the area, the Mayflower (called the Mayflower II); however, this particular weekend the ship was out for repairs. The whole experience was a delightful walking tour with something for everyone! 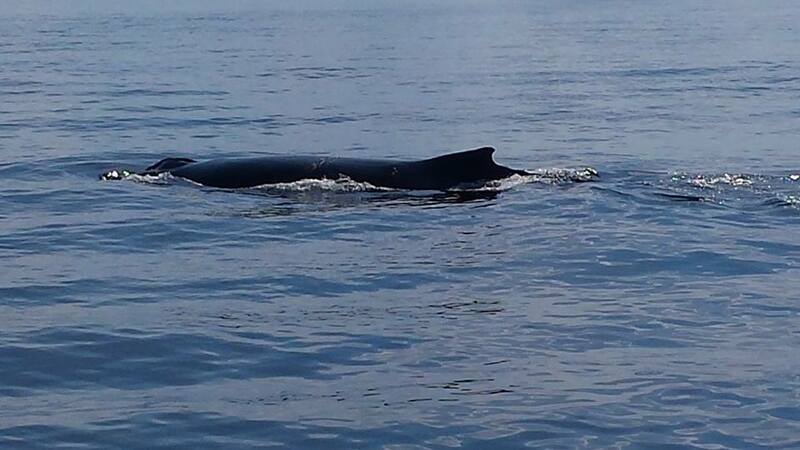 We also decided to go on our very first Whale Watch! 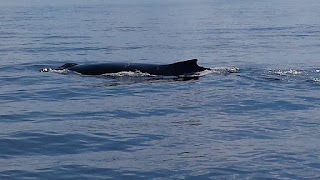 We took a four-hour trip out of Plymouth Harbor on the Tails of the Sea; the ship was operated by Captain John's Whale Watching and Fishing Tours and offered two trips daily. We went in the afternoon and were astonished when we encountered a humpback mother and calf who were curious about the boat and who played and swam just off the bow for an hour! It was a truly beautiful experience, and one I know my daughter will never forget. After the whale watch we were rushing to meet family for dinner, so we did not get to see the famed Plymouth Rock; but it is located right in Plymouth Harbor. In all, the trip was a ton of fun, and while the Whale Watch might be tough with children under age 5, I would highly recommend it for those traveling with school-aged children. For both excursions, we brought a lot of sunscreen and water, and were glad to have both. Also, unless it is the peak of summer, a light jacket will help keep passengers (particularly children) warm on the boat, which can get cool and breezy as you head out of the harbor. Adorable location!! I am in love with this wonderful place. Thanks a ton for sharing these pictures. Well, we have also been finding the best destination event space nyc for our big day celebration. It would be so helpful if you guys could recommend any New York venues! Back to School: Keeping Safety Top of Mind! 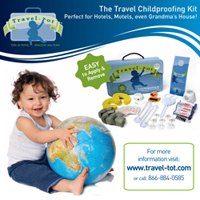 Travel-Tot: Stay Safe As Home, Wherever You Roam! Apps We Love: Queen Bee in Paris! The "Plane" Truth About Germs!